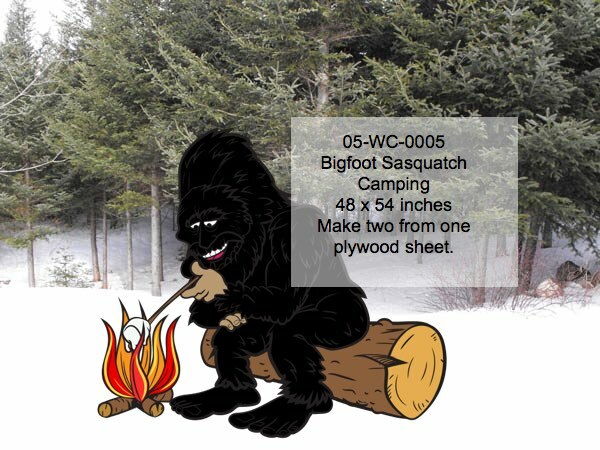 We have a lot of fun designing these Bigfoot yard art patterns and are pleased to offer the newest in our collection, Bigfoot Sasquatch Camping, pictured here roasting marshmallows over the campfire. Our full size patterns are more that just a silhouette. We offer all the line art drawings, with plenty of details that you can include indoor project…or not… its totally up to you. 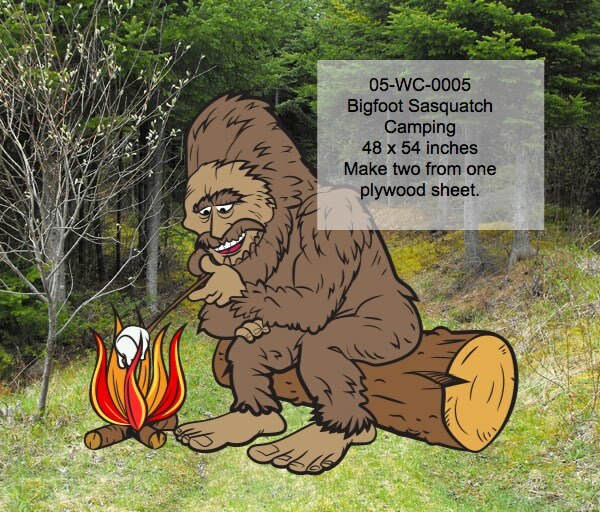 Here are a couple other scenes of our Bigfoot Sasquatch in the woods. 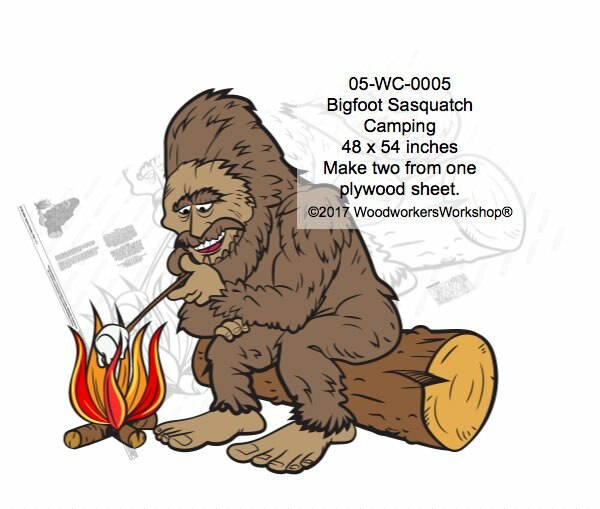 Sasquatch squats on a log for a toasty marshmallow treat.